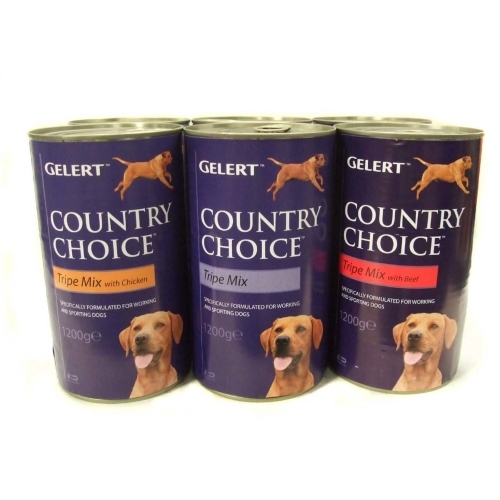 Gelert Country Choice Adult Dog Tripe Variety is a selection of 3 lip-licking recipes that incorporates pure green beef tripe, this is known as a super food in the raw feeding community. Green tripe, this is a tripe which has been unbleached, therefore it maintains its nutritional values & meaty taste that dogs love. Each of these recipes have been formulated to fit the nutritional needs of highly active or working dogs who require a high protein wet food to accompany their dry rations.